Nostalgia, new technology and materials, and world culture lead show. 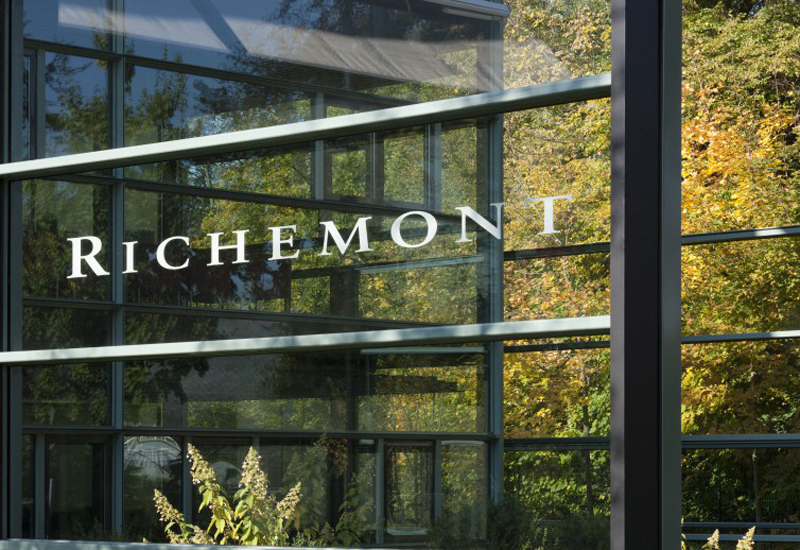 Condensed into a small conference centre in Geneva in January was a wealth of new watches from the Richemont Group. As well as the watchmakers’ hard-earned right to look back through the archives, the luxury brands exhibiting at the show took the opportunity to show off new technology, fresh materials and a world of inspirations picked from all over the globe, as Kathryn Bishop reports. The new releases at SIHH this year took a nostalgic around-the-world tour, with the timepieces referencing everything from the Eiffel Tower to the plains of Africa, the follies of the 1930s right up to the bling, and larger-than-life size of the 1980s power woman. In a continuation of what many brands started at BaselWorld last year, the Richemont brands exhibiting at SIHH unveiled re-issues of classic or rare timepieces, modern-day adaptations of designs using new materials and tributes to famous watchmakers. Van Cleef & Arpels unveiled its Pierre Arpels timepiece, a contemporary reinterpretation of the brand’s eponymous founder’s own simple, slimline watch that he designed for himself in 1949. The timepiece is both sophisticated and fresh, and was showcased in both red and white gold. Housing a mechanical Piaget 830P movement in a choice of 38mm or 42mm case, it is a handsome watch of quality, with a diamond set into the crown as a final flourish. The 20th century was also celebrated by Jaeger-LeCoultre, which looked back to Les Années Folles with its special edition red dial Grande Reverso 1931 Rouge, an updated version of one of its rarest coloured dial watches from the 1930s. Back then, the red dial was worn by only a handful of the most dandyish and daring artists and intellectuals – a natty way to stand out from the crowd. This year the blood-red dial is back. It is kitted out with a manually-wound Calibre 833, housed within a large, slender case. And it is size that makes this an unmissable timepiece that already set more than a few hearts a-flutter when it was first previewed in Jaeger-LeCoultre’s Milan boutique in December. Montblanc also praised the past with its SIHH releases, celebrating the French watchmaker Nicolas Rieussec with a follow up to a chronograph timepiece created last year. While 2011’s timepiece celebrated the 190th anniversary of the chronograph complication, this year’s Nicolas Rieussec Chronograph Open Hometime boasts a new calibre, the MB R210, a combination of classical chronograph mechanisms and modern technical solutions. Montblanc’s second release was the Vintage TachyDate from its Collection Villeret 1858 — another venture into vintage styling with a new calibre, this time its MB M16.32 chronograph complication. The watch is limited to two lines – rose gold and white – with just 58 of each made. Panerai presented its Luminor Marina 1950 3 Days to the public officially at SIHH, following a stint at the O’Clock exhibition in Milan, where it was first revealed. But it did so with a twist, unveiling a new timepiece, the Tuttonera, a full black ceramic timepiece with a Luminor 1950 case and P.9001/B calibre. The brand also showcased a new ceramic cased tourbillon and two limited-edition Radiomirs – the California 3 Days and the S.L.C. 3 Days, limited to just 500 pieces each and designed with pared-down 1930s-inspired dials. In a true renaissance, Cartier ensured it caused a stir at SIHH with a transparent pocket watch with an openwork Roman numeral white gold case. The Grand Complication Skeleton pocket watch is, says the brand in its own words, daring to be different. It describes the watch as “art in its own right”, and Cartier promises it will inspire awe whenever it is revealed from a pocket. The calibre 9436 MC movement is housed within the case, which itself measures a striking 59mm, making it truly eye-catching. Another evident theme running through SIHH was people and places. Travelling from West to East, Baume & Mercier remained true to its muse – the Hamptons. Its new Capeland Flyback chrono has been dubbed its leading timepiece of 2012, taking a 1940s design and updating it with a self-winding movement, flyback function and details such as an oscillating weight decorated with Côtes de Genève and a snailed pattern. It is also the first Capeland to have a black dial, complemented by a rich brown alligator strap, Arabic numerals and Breguet-style hands that are an elegant, functional adornment. For Baume & Mercier this new Capeland comes after a period of stripping back the collections to a core set of finer timepieces. Bringing the world tour theme to Europe, Van Cleef & Arpels wooed the SIHH crowd with a love story set across famous Parisian landmarks the Eiffel Tower and Notre Dame. Its two Poetic Wish timepieces added a new chapter to its decadent storytelling, now they are unravelling the tale of two lovers in Paris, one – a girl – atop the Eiffel Tower and a second – a young man – on the roof of the Notre Dame cathedral, both looking out to one another as a minute repeater chimes out their story. Both of the white gold timepieces took hundreds of hours to create, utilising the skills of watchmakers, sculptors, painters and jewellers. Heading into Africa, JeanRichard’s Highland watch was another style revived from the past, referencing the scenery of Africa’s plains with its safari style. The timepiece was first launched back in the 1990s, but for SIHH the brand revived the style with a generously sized 44.5mm tonneau-shaped case and, owing to its sandblaster finish, a rugged elegance. JeanRichard also continued the theme across its range, producing three dial colourways based on its African inspiration: ecru, khaki and ebony. Roger Dubuis opted for wild luxury with a diamond-encrusted creation for only the boldest of women. Its dazzling Velvet timepiece was revealed to the SIHH crowd as an offshoot of the brand’s Diva line of watches. Crafted in rose gold, its relatively modest 36mm case is dominated by more than 260 diamonds scattered across its bezel and bracelet. But all this glitter still has brains, and inside the rose gold case is an RD821 calibre self-winding mechanical movement. It is also manufactured, assembled and decorated entirely by hand in-house at Roger Dubuis. 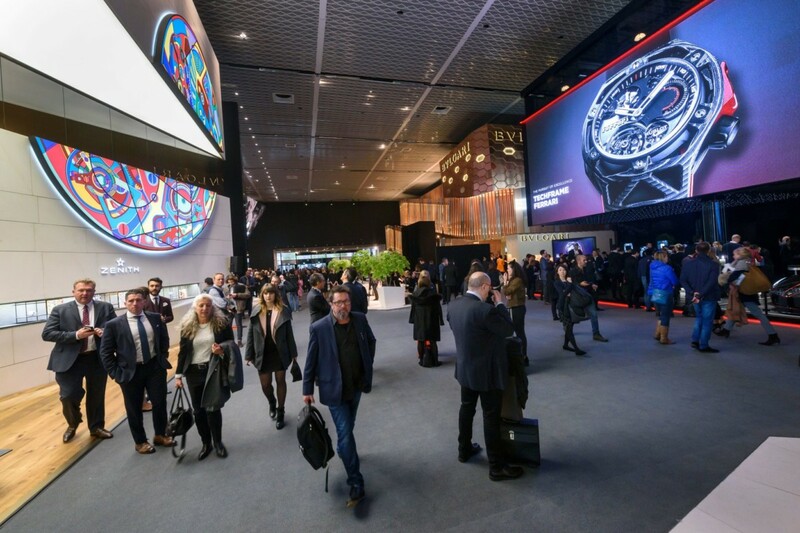 New innovations and movements were of course expected at SIHH and the brands certainly pulled out the stops with new complications and increased power reserves. When it was first launched in 1999 the A. Lange & Söhne Datograph became an instant classic, revered for its balanced dial and easy-to-wear case size. Now, with a few years of development in-between, Lange used SIHH 2012 to launch a new version: the Datograph AUF/AB. This up-sized 41mm platinum timepiece has been carefully crafted to include an extended power reserve, a power reserve indicator and a its in-house propriety oscillation system, which fines tunes the movement to offer greater accuracy. The AUF and AB of its name are attributed to its power reserve indicator which, when in the red AB section, notifies the wearer that it is time to get winding again. The timepiece is powered by a manually wound calibre L951.6 movement that offers 24 hours more power than the previous model. Of course, with all that is going on inside, a sapphire-crystal case back is a standard feature for this watch, giving the wearer a chance to admire all the intricacies within the platinum case. Parmigiani unveiled its 17th in-house movement at SIHH following a pre-Christmas preview of the complication – its very first annual calendar. While the company has created a number of hand-wound and automatic movements in-house previously, including tourbillons, perpetual calendars and an ultra-slim model, it was not until the end of last year that the brand finally completed its annual calendar, presented as the Tonda Retrograde Annual Calendar. The movement automatically accounts for variations in days and months and will only need a manual correction on a leap year, such as 2012. The gold 40mm timepiece has a single hand that indicates the date from 1 to 31 on the outer dial and the watch is also fitted with a special version of the moon phase, developed in the Parmigiani workshops that completes the indications of the Tonda calendar model with a northern and southern hemisphere. IWC Schaffhausen threw a celebrity-filled party during SIHH, with a Top Gun theme to celebrate the launch of its Top Gun Miramar timepiece. With the likes of actors Ewan McGregor and Cate Blanchette in attendance the brand unveiled its Top Gun range to the masses – a watch designed to celebrate the birth place of some of the most elite pilots in the world. The top Gun Miramar is equipped with the largest automatic movement made by IWC, with a power reserve of 168 hours and a sizeable 48mm case housing the complication. IWC said the Mirimar embraces its long-standing tradition of manufacturing pilot’s watches while showcasing its technological advances. Not to be outdone, Piaget unveiled a world record-breaking timepiece, its Altiplano Skeleton Ultra-Thin. Regarded as the thinnest self-winding skeleton model at 5.34mm thick, it houses the world’s thinnest self-winding skeleton movement of just 2.4mm. Piaget has been working to reach such as level of finesse for almost 50 years, while more than three years of research was put into fine-tuning the timepiece’s Piaget Calibre 1200S. The brand says that it is only due to the simultaneous workings of its watchmakers that this Ultra-Thin is a success – its 38mm-diameter white gold case has been specifically designed and developed to accommodate its 1200S calibre; something Piaget says would be inconceivable without its level of in-house skill. Of course any haute horology show would not be complete without a wristful of tourbillons, and happily they weren’t in short supply at SIHH. Roger Dubuis arrived at the Salon describing 2011 as the “year of the player” but promising 2012 to be the year of fantasy. The brand offered up, beyond its Velvet women’s timepiece, the tonneau-shaped La Monégasque Flying Tourbillon. The limited-edition 44mm timepiece was dubbed a tribute to tradition, with every detail considered from its RD540 hand-wound mechanical movement, through to the silvered sun-ray effect central disc of its dial. Even the power reserve was given depth with silvered snailing and an edge of pink gold. Having revealed its Patrimony Traditionelle 14-Day Tourbillon ahead of SIHH, Vacheron Constantin bought it to the show for admirers to get a closer look, and describing the watch as a “predestined collector’s item”. The watchmaker also showcased new underwater-themed designs in its Métiers d’Art Les Univers Infinis collection. Dials were decorated with interlocking enamelled fish and a patchwork of starfish and shell shapes, created using guilloché, cloisonné and champlevé enamelling. It also paid homage to the 100th anniversary of its first tonneau-shaped watch, with its Malte Collection of 100 timepieces. Meanwhile Cartier offered up its Rotonde de Cartier Minute Repeater Flying Tourbillon, a sure hit among the luxury lovers, designed to play on the collectability of minute repeaters among watch enthusiasts. The Rotonde de Cartier is the fruit of five years’ research by Cartier into perfecting the sound and pitch of the repeater. The result was the creation of a 45mm polished titanium case, based on the equation that the lower the weight of the case, the greater a repeater’s capacity for sound. Titanium was a metal of choice as well for Montblanc’s third SIHH launch, the grey yet good-looking TimeWalker TwinFly Chronograph GreyTech, a follow up to the success of the first TimeWalker Twin Fly. Only 888 of the limited-edition second model will be made, housing Montblanc’s self-winding chronograph Caliber MB LL100 in a matte grey 43mm titanium case. The look is a watch that is simultaneously striking and discreet – a purposeful backlash against the bright colours and garishness of modern-day living. 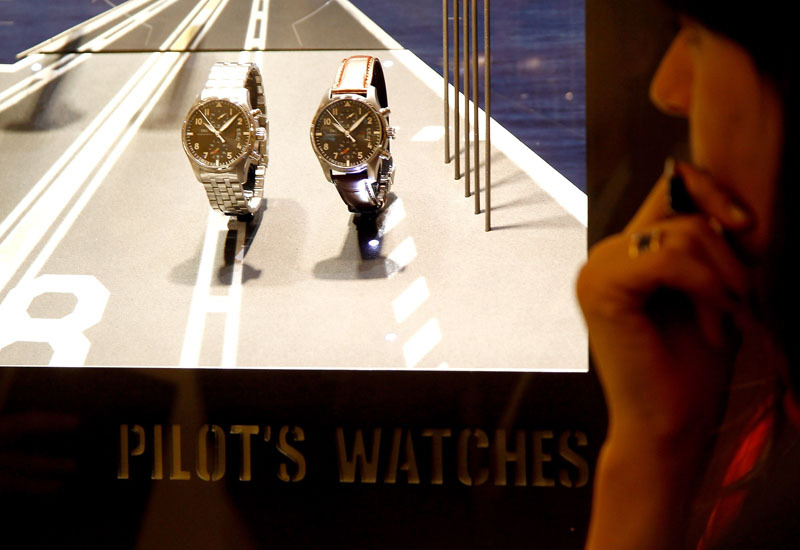 Now in its 22nd year, SIHH has once more bought together only the finest of watchmaking. This column was taken from the February 2012 issue of WatchPro magazine. To read a digital version of this issue online click here.